A simple landing page is also a great start-a page that says how to contact you (Phone Number/Email/Hours of Operation) to give your potential clients quick info about you. 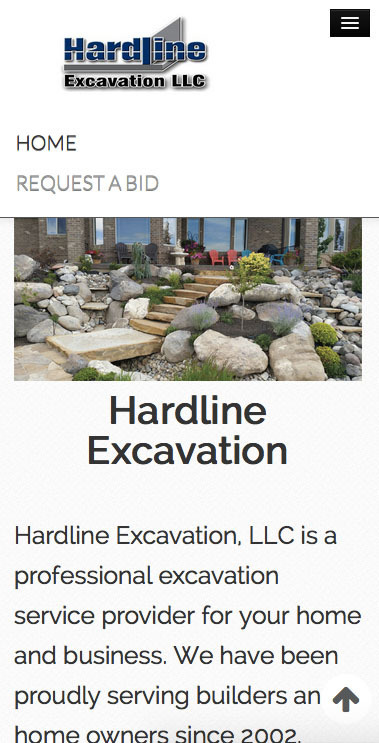 Hardline Excavation was in need of just that, as of yesterday.Â They have been using ad space in local deal magazines as a form of advertising, and gave us one to get the ball rolling. We were able to gather the important stuff from it, and make an attractive landing page in just an hour for them. Our new client also wanted a way to get potential bids from clients. We put together a very simple form, using our Form Builder. Their staff can go in at any time, and add more detailed information fields if they want more information about a potential client job. 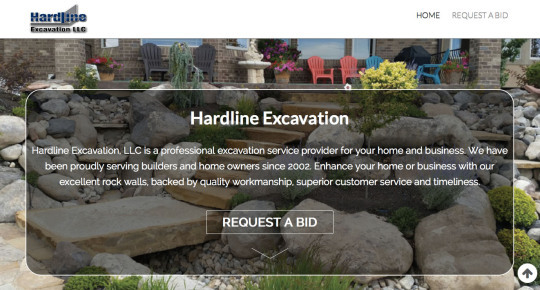 On top of that, they can use their beautiful mobile website as a quick way to show clients previous work if they are on location, and someone wants to see samples. Convenience is always a winner! It feels great to help out people who are in a quick bind, and I would say a 1 hour turn around is pretty excellent!Â Thatâ€™s how long it took to build a quick 2 page website for this client, because the tool is THAT user friendly. Now their team is trained on the SquareHook tool, so they can easily edit their site when they feel the need. If youâ€™re in need of something quick/simple, contact us!Â We provide services for the most elaborate site, to something basic, like this landing page.